Is it time to fix your mortgage payments? We don’t often talk about mortgages and lending rates but as your multi award winning estate agents in Beaconsfield we feel it is our duty to keep our readers and clients well-informed we’re going to take a look at some of your options as mortgage rates begin to climb. What is the best rate… for now? In November 2017 the Bank of England announced that interest rates were to increase for the first time in ten years which could lead to an increase over the next few years. This has led to an increase in the number of people looking to remortgage and secure a fixed rate before the base rate rises further. However the governor of the Bank of England Mark Carney has stressed that any increases will be gradual. The cost of living has been rising year on year whilst income growth has been pretty stagnant and so fixing your monthly mortgage payments for a set term can provide you with peace of mind when budgeting. A fixed rate mortgage will give you a sense of stability and will also protect you from potential rises in the short-medium term. 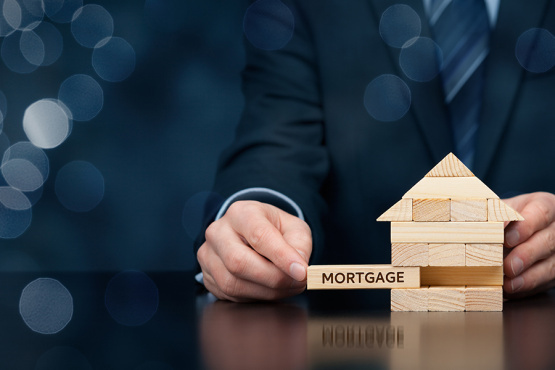 As the demand for remortgage products has increased lenders are vying to win your business. Rates are currently rock bottom and can only go in one direction. Most deals come without paying valuation or legal fees but generally come with a product fee so the lowest fixed rate is not necessarily the cheapest after taking into account any fees payable. There are a couple of things you’ll need to consider before you decide whether to fix your mortgage rate for any period of time. The main one being – what are your long-term plans? If you are planning on moving or you think that your circumstances could change in the near future you may want to avoid longer term mortgage deals such as seven and ten year terms. However the majority of deals are portable to a new house should you move within the fixed rate period thereby avoiding any penalties but remember it is just the rate which is portable as lenders will still have to carry out their checks. Any deal is of course subject to credit score and to the financial underwriting criteria of lenders as this varies from lender to lender. Ashington Page has linked up successfully for a number of years with mortgage broker James Walton of Park Grove Mortgages who compliments the service we provide. James has over 25 years’ experience in arranging mortgages and has access to whole of market. For an initial discussion please contact James on 07702 369999 or james@pgml.co.uk. If you are thinking of selling or buying a property be sure you give one of our local experts a call on 01494 680018 or email us, we’d be happy to talk you through the options available. You can also follow us on Facebook, Twitter and now our new Instagram channel.